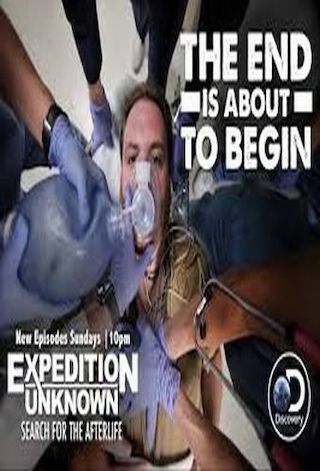 Expedition Unknown: Search for the Afterlife is an American 60 minute documentary history television series, which kicked off on October 7, 2018, on Discovery Channel and is broadcast every Sunday at 22:00. The show is currently in its 1st season. Discovery Channel is yet to announce the renewal of Expedition Unknown: Search for the Afterlife for Season 2 as well as its cancelation. Sign up to track down the show's status and its release date. Josh Gates takes us beyond the grave in Discovery's four-part special event Expedition Unknown: Search for the Afterlife. Gates journeys across the globe to investigate into the spirit world and answer mankind's greatest unsolved mystery - where do we go when we die? From a ghost hunt at one of the most haunted places on earth to getting a firsthand glimpse of the afterlife with ancient medicine, Josh will put it all on the line for a glance of what's beyond this life. The show is followed at 11pm by Expedition Unknown: After the Search with never-before-seen footage and behind-the-scene moments.